This Sunday the band RainbowSSS will be playing at Monkey Town in Williamsburg. Four video artists, Amy Sharp, Joanna Bovay, Su Jung Lee and Morgan Schwartz (me) will be accompanying them with video projections. Love to see you if you can make it! 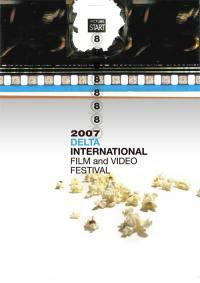 The 2007 Delta International Film and Video Festival happened this past weekend. Robyn Moore, an Assistant Professor of Photography and Video at Delta State University and former classmate invited me down to jury this years selection. Its an exciting new festival - consider submitting work next year! Are we teaching the machine, or is the machine teaching us? A great open-source documentary about the history of the internet and net-neutrality. Link from Four Eyed Monsters courtesy of Shelly Tseng. Read this account of border volleyball and watch the video - a poetic response to immigration and border related issues.